A simple way of financing that gives you the certainty of a fixed interest rate, and fixed monthly payments throughout the agreement. The initial deposit and repayment period can be structured to help meet your budget and the length of time you expect to keep the car. You can trade in your existing car and put this towards the initial deposit, or if you wish, just put down a cash deposit. We will structure the agreement to meet your individual requirements based on the car, the agreement duration required, the available deposit and your monthly budget. After paying the initial deposit you make regular monthly payments to cover the amount borrowed plus any interest and fees. The interest rate is fixed which means you’ll know exactly how much you will repay throughout the term of the agreement. Once all of the payments have been paid the car is yours. 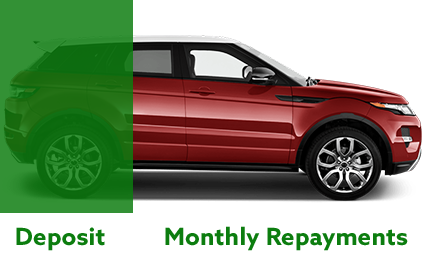 ✔ A guaranteed fixed monthly payment, allowing you to budget with confidence. You can pay off lump sum amounts during the agreement. You can settle the agreement early by repaying the required amount. The agreement is secured against the car. If you do not keep up your repayments, we may take steps to recover the money that you owe us, which may include repossession of the car. If you put down a lower deposit it could mean a higher risk of negative equity if you settle early or want to change the car before the end of your finance agreement. Only when all payments under the agreement have been made do you become the owner of the vehicle. This type of finance agreement is not available to corporate entities, e.g. limited companies, PLCs or limited partnerships.